Remaining unperturbed by Delhi Lieutenant Governor Anil Baijal's order asking the Aam Aadmi Party (AAP) to pay Rs. 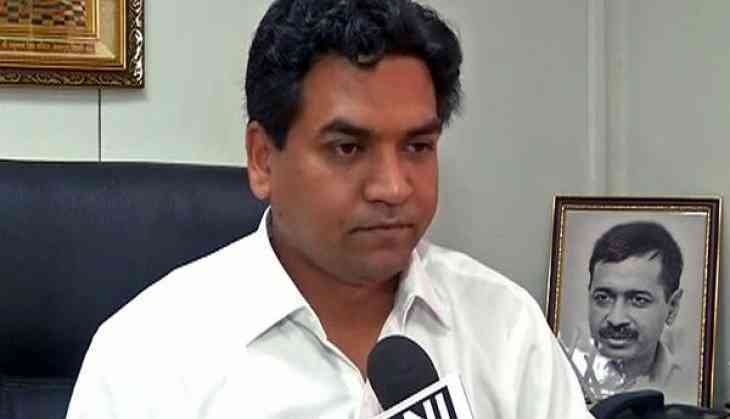 97 crore for spending public money on advertisements, State's Water Minister Kapil Mishra on 1 April alleged that the Centre was deliberately using such tactics to divert people's attention ahead of Delhi's civic polls. "They (the Centre) have police, ED, RAW, CBI, even the ACB is with them. If we have indulged in corruption, then why haven't we been arrested? These tactics are deliberately being used to divert people's attention. They can use whatever tactics they want, but we will waive off house tax," Mishra told ANI. Earlier on Thursday, Baijal directed the AAP to repay money that was splurged by the government on advertisements in violation of the Supreme Court's guidelines. Last week, Delhi Chief Minister Arvind Kejriwal announced that his party would abolish the residential house tax and waive off arrears if voted to power, in a bid to woo voters ahead of MCD polls, scheduled to take place on April 23.